Looking to make a business case for implementing a CMMS at your facility? 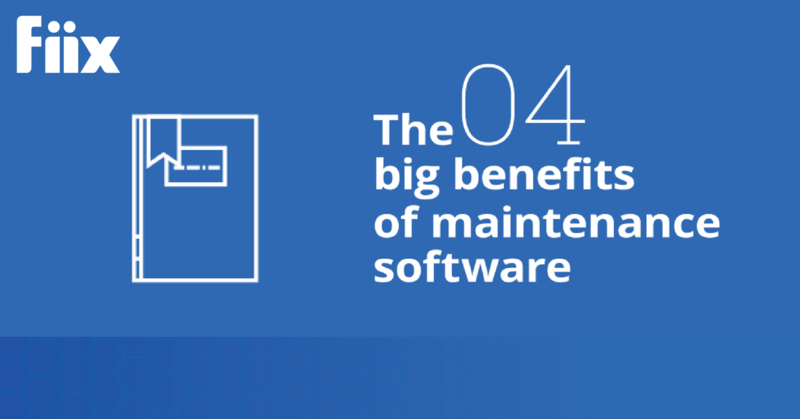 You may know that there are many benefits to investing in maintenance software, but which are the most impactful? A computerized maintenance management system (CMMS) is designed to make the lives of maintenance professionals easier by keeping records, scheduling maintenance, and tracking work orders. Let’s take a look at the biggest ways a CMMS will benefit your maintenance operations. Allows maintenance teams to move away from reactive maintenance towards pre-planned, preventive maintenance. Helps maintenance teams prioritize tasks and gain efficiency. Helps meet compliance standards by helping with certifications and audits. Builds a culture of accountability, where work is tracked correctly and people take responsibility for their jobs. Consider the following scenario: You come to work in the morning and things are pretty slow. Then, two hours into the work day, there’s a huge emergency. Business stops and the maintenance team goes into firefighting mode, running to fix the problem as quickly as possible. Sound familiar? It’s not an ideal situation, but it’s one that pops up way too often. Unfortunately, these spikes in activity are inefficient, stressful, and not part of a sustainable maintenance strategy. The best way to move away from this kind of reactive maintenance is to work towards a preventive maintenance approach—focusing on fixing a machine before it breaks, rather than scrambling to fix it after. So where does a CMMS come in? A CMMS is a much more advanced and reliable system than keeping track of maintenance in a paper calendar, or by scheduling tasks in Microsoft Outlook. You can set time-based or meter reading-based notifications in your CMMS, so you always know what’s coming up. The CMMS lets technicians log a problem as soon as they spot it. For example, if someone in your facility notices that a machine is making a weird noise they can log it immediately. This lets your team diagnose the problem and repair the machine before it actually breaks down. Maintenance software is the simplest and most effective way to boost the performance of your maintenance operation. Technicians spend a lot of time dealing with paperwork— writing up reports, finding missing work requests, and searching for old records, service warranties, and schematics. Over time, these activities can seriously chip away at the time they actually spend working. A CMMS keeps all this information in a single, searchable database, which makes finding it much easier. By decreasing the time your team spends on paperwork, you increase the time spent maintaining assets. Maintenance teams don’t always have the resources to get 100% of the work done. Instead, it’s more likely that you’re focusing your energy on the most critical repairs and maintenance. A CMMS gives the maintenance manager a central view of all upcoming work orders and in-progress jobs, so they can figure out what their biggest priorities are. CMMS software is a great way to help your business pass audits and meet certification and compliance standards. A CMMS keeps a central database of assets and procedures and helps systems run efficiently, thereby lowering emissions and operating costs. This can go a long way towards making your business eligible for ISO or LEED certification. If you pay for insurance on machinery, equipment, or facilities, a CMMS can help you qualify for policy savings, because your assets are more likely to be well-maintained. Has your company ever been audited? This can happen after a serious breakdown or accident, or if another organization is eyeing you for acquisition. A good CMMS makes the audit process much less painful by keeping a permanent, unchangeable record of maintenance and repair activities on all machines. Some large organizations, like Boeing or the US Government, require that the companies they deal with have a solid preventive maintenance program in place. If your company wants to sell products and services to organizations like this then it’s definitely worth investing in a CMMS. Are you in a government-regulated industry? If yes, then maintenance software can help you meet government requirements and avoid liability. For instance, an FDA survey from 2004 indicated that “no preventive maintenance” is the fifth most common problem in food processing plants in the US. CMMS software makes it easy to stay on top of maintenance and avoid product contamination that might result from broken machines. Accountability is key for a strong maintenance team, but it gets hard to maintain accountability when it isn’t clear who is responsible for what work. A CMMS lets you see all your maintenance information in one spot. As a team leader, you can immediately see what work is overdue and what’s in progress, which makes it easy to follow up on work that’s taking too long. Maintenance software can automatically send emails and notifications to the right people. This means there’s no forgetting, losing track of paper or miscommunication—the right people get work assignments at the right time. CMMS software comes with report-generating features that let you analyze the performance of the entire maintenance group. These reports can help you justify the investment in preventive maintenance, since they make it easier to show overall reduced downtime. Ready to start comparing CMMS software? Check out our CMMS feature scoring calculator.